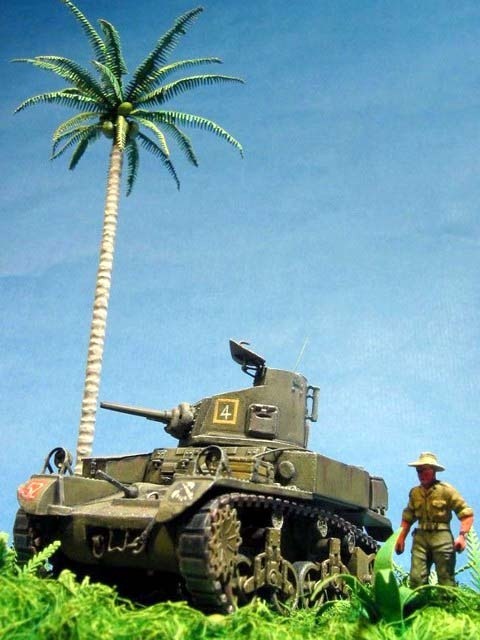 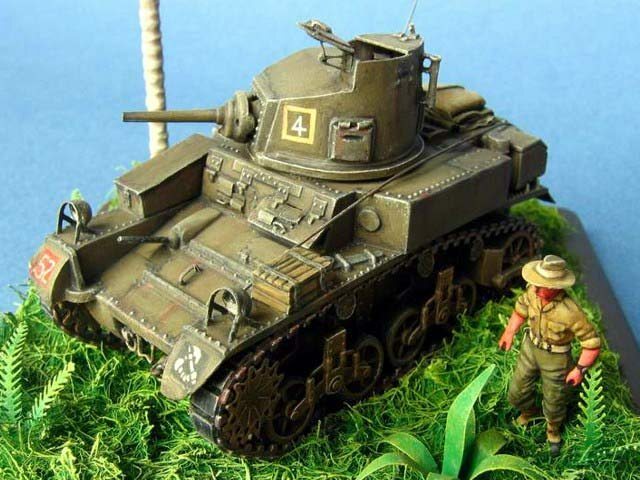 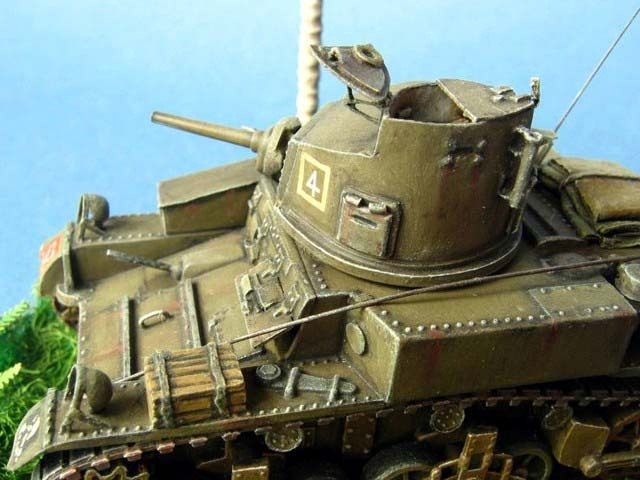 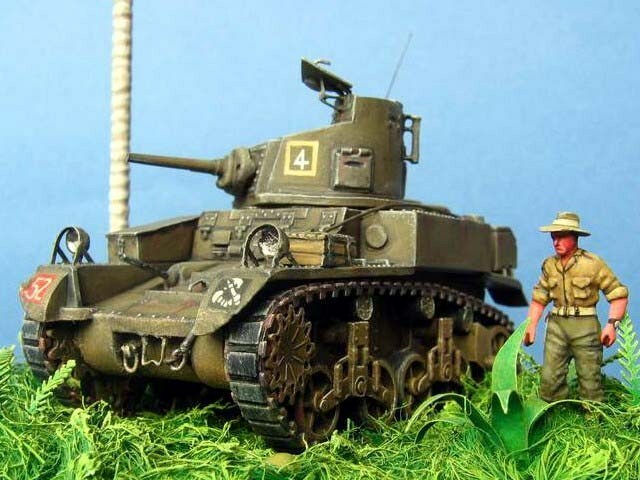 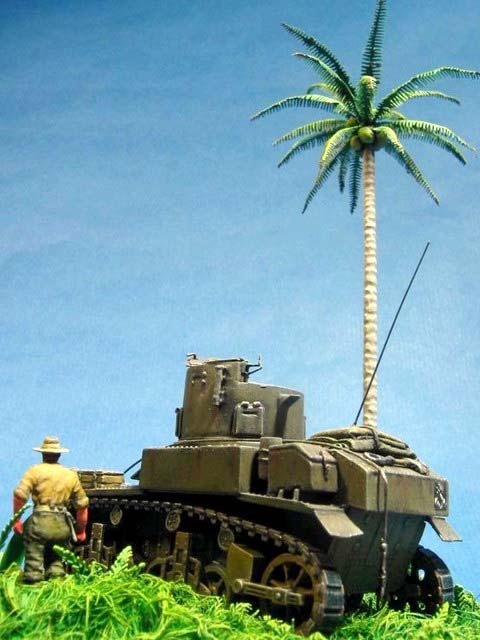 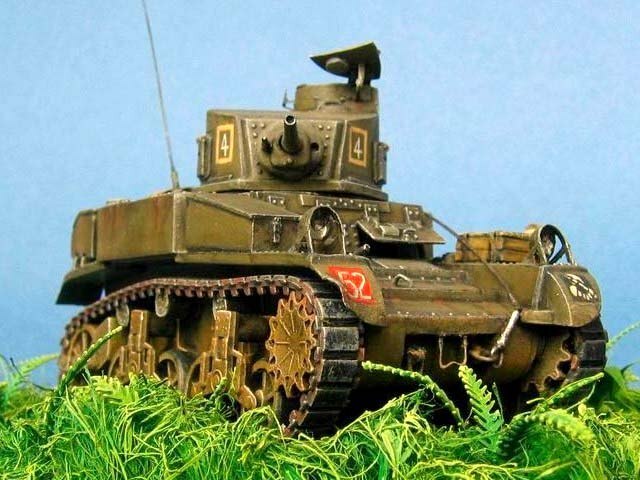 This is model of Australian tank fighting in battle of Buna in New Guinea in December 1942. 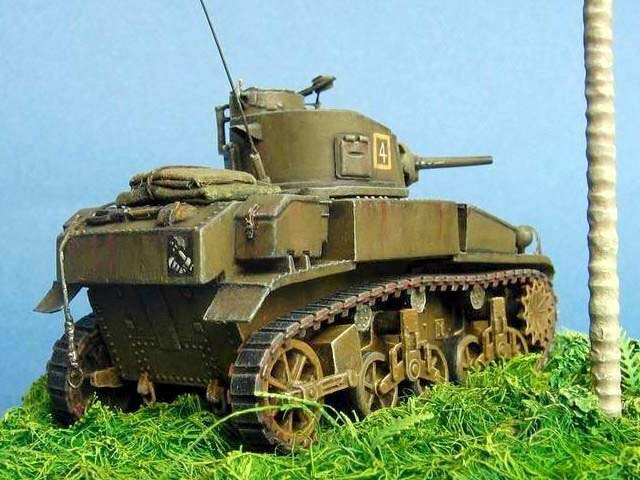 It is scratch conversion of original plastic kit especially it's turret which had to be reshaped from octagonal to round. 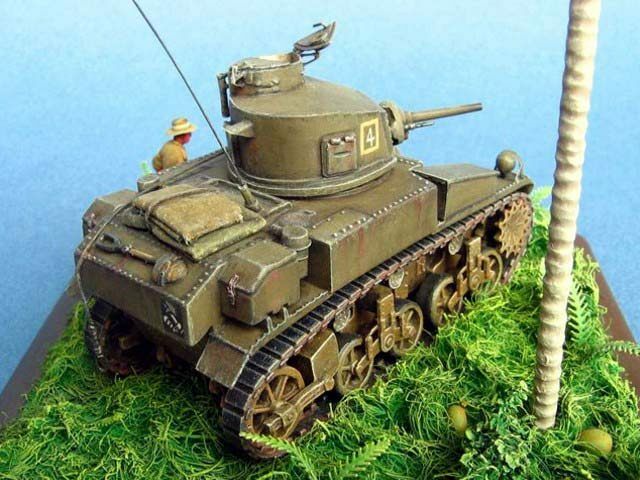 I have used plastic sheets and lot of putty to make it. 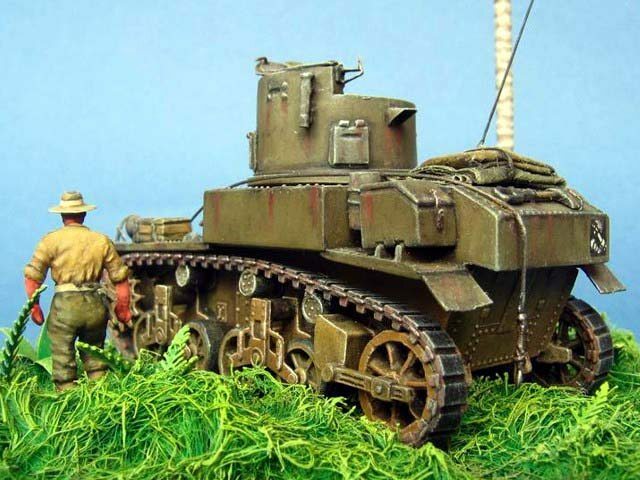 The figure is converted from Preiser sets parts.